Did you know that actress Sean Young (Stripes, Ace Ventura: Pet Detective, No Way Out, Wall Street, Blade Runner, Dune, and Cousins) had a stint as a Country music singer? She appeared in Nashville for the ‘Gone Country’ reality TV series singing Country songs as part of a music competition. Here you'll find our pictures and reviews of her performances at the Wildhorse Saloon, where the show was taped. 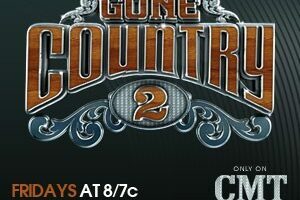 Actress Sean Young put on her dancin’ shoes and sang a Country song that she co-wrote with a couple of Nashville songwriters at the season finale of Gone Country 2. The show was taped at the Wildhorse Saloon. Her song was called “Time For The Boy To Grow Up”.